Entrepreneurs have been complaining about how hard it is to get a bank loan for about three years now. Efforts by the new administration have been slow to improve the lending climate, too. A new study points to one of the biggest reasons why it's still tough to get a traditional loan: Small businesses are short on collateral. And collateral is what banks like to see when they make a business loan. Simple as that. The study, from Pepperdine University, says nearly half of the 1,200 businesses surveyed sought a bank loan, but 60 percent had their application denied. 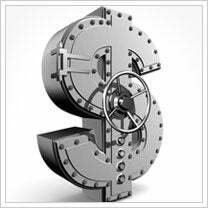 A first-quarter 2011 study from the finance site MultiFunding explains why the refusal rate is so high, and how banks think about your business and categorize small-business borrowers. Banks currently consider 15 percent of small businesses "non-lendable" due to their lack of collateral, and another 47 percent are considered "marginal" or "B" borrowers, the report says. In other words, small businesses have a collateral crisis. Don't even bother calling your bank for a loan. "These businesses will have to turn to factoring, merchant cash advance loans, unsecured loans and private money loans," the report states. "They pay a high premium because of their lack of collateral." While 20 percent of owners received SBA loans, 25 percent were given unsecured lines of credit, merchant cash advances or borrowed from a private lender. Another 22 percent got a factor loan, which is essentially the sale of your receivables at a substantial discount. For those that do qualify, interest rates are high. More than half of owners who received bank loans had rates between 23 percent and 31 percent. They'd probably save money by using their credit cards instead. Most often, when there is collateral pledged against a small-business loan, the collateral put up is the owner's own home. This even though many finance experts caution owners against pledging their home as collateral, as it puts that residence at risk if the businesses sours. Some businesses have equipment, merchandise, intellectual property or a fleet of company cars they can use as collateral. But for many, collateral is scarce. Businesses need to think about building those assets if they want to become more creditworthy borrowers. Would you pledge your home as collateral on a business loan? Leave a comment and let us know.